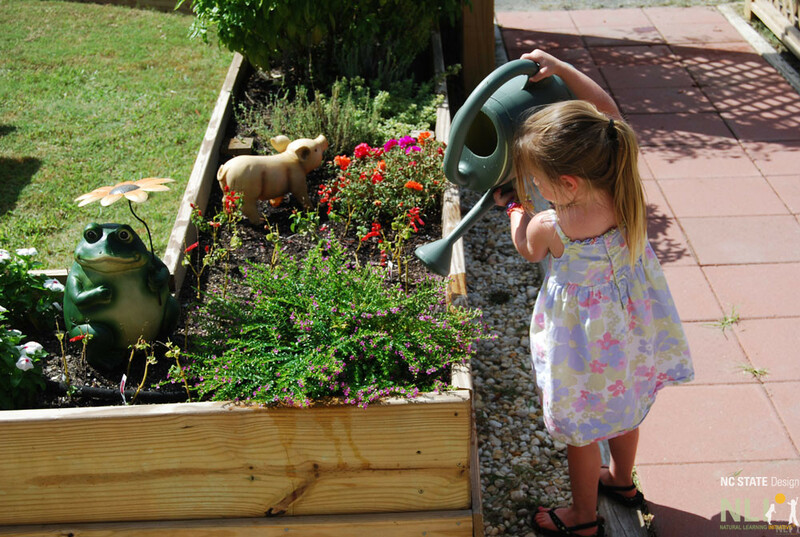 Raised planters, and the gardens that grow within them, are one of the many affordable ways to improve an outdoor learning environment. Raised planters can be constructed from a variety of materials. Here we will discuss those constructed of timber. 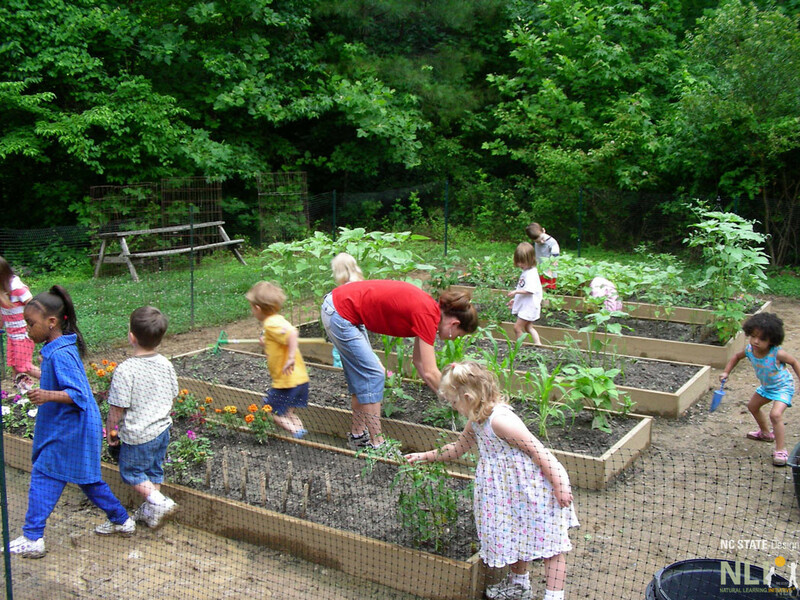 Raised garden planters are one of the foundational elements in naturalized outdoor learning environments. 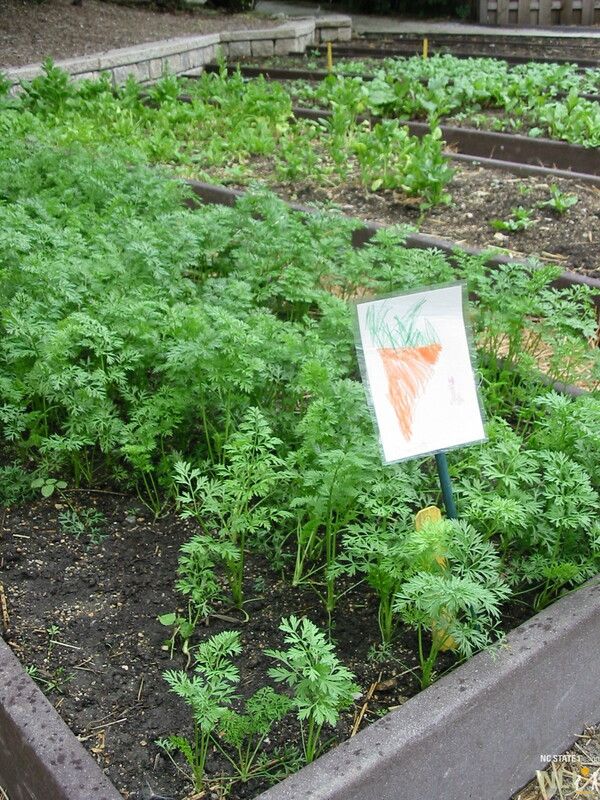 They are more easily accessible, easier to control soil quality, and easier to maintain than in-ground beds. Requiring only lumber and soil, they are fairly affordable, as well. Raised planters can be anywhere from 6″ to 30″ tall. 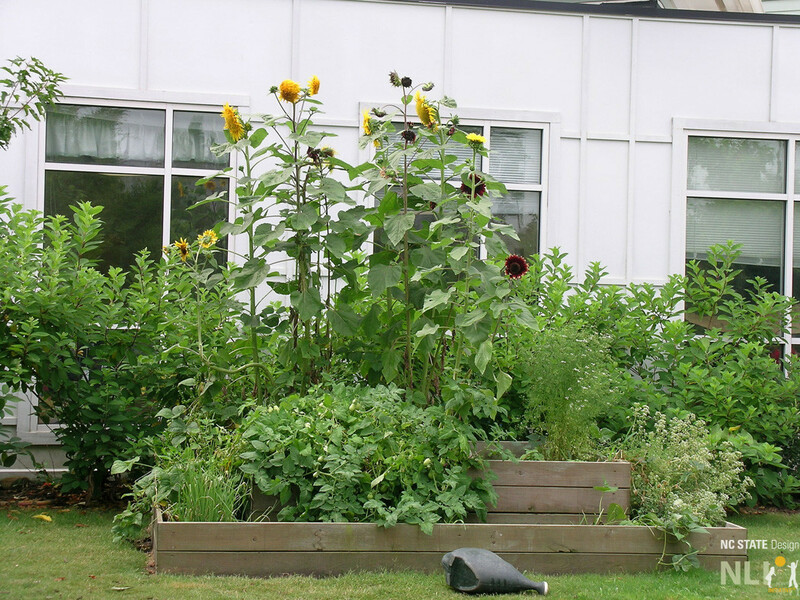 Due to the length of children’s arms, the maximum width of a planter accessible from both sides is four feet. The maximum width of a planter accessible from one side, maybe because it is along a fence, is two feet. Much information and instructions are available online; ready-made kits can also be purchased. 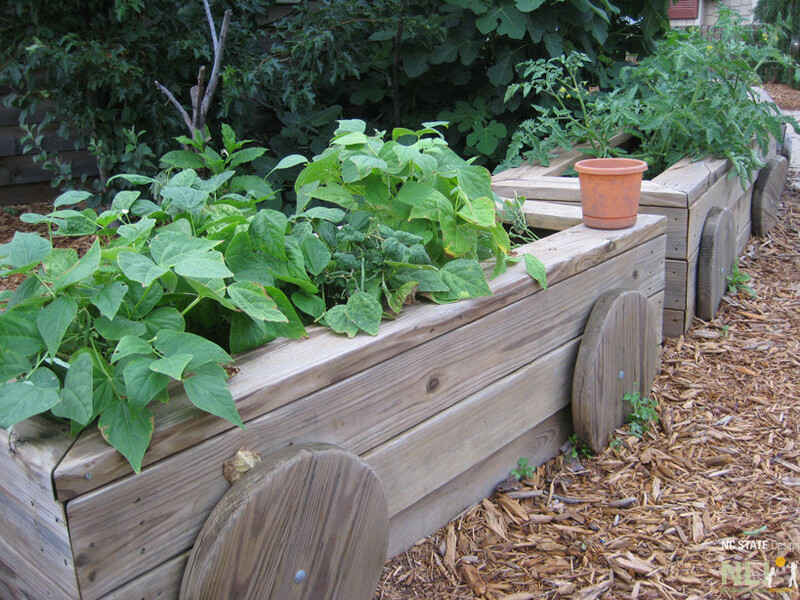 Railroad ties are not recommended for edible beds, as they may leach chemicals. If using pressure treated lumber, add an impervious liner between the boards and the soil to prevent leaching. If you want to improve the soil, check your municipal yard waste center, usually they will give away or sell leaf mulch compost from street collection. Compost is better than top soil, if you’re going to enhance the quality of your soil, make sure you use compost! 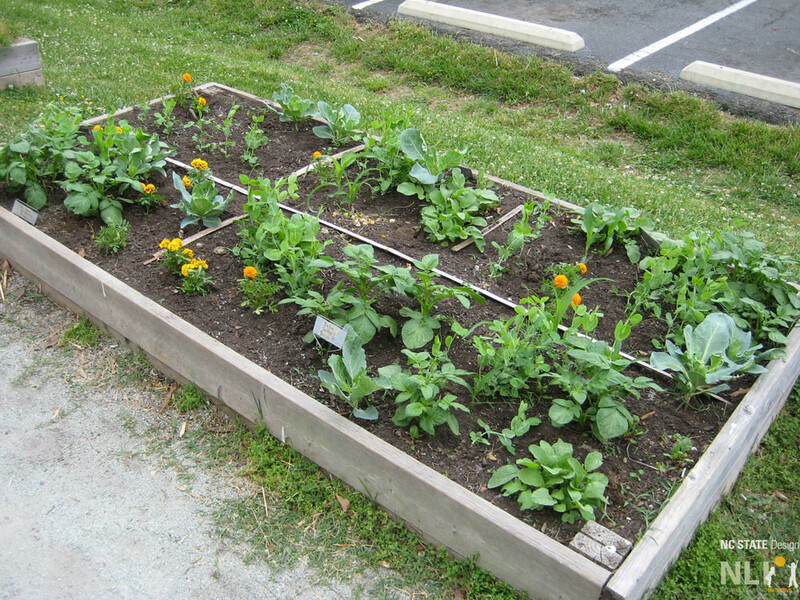 Six-inch raised planters at Bright Horizons Family Solutions CDC, RTP, NC. Get the kids involved with labelling the plants! A small raised planter with dividers. 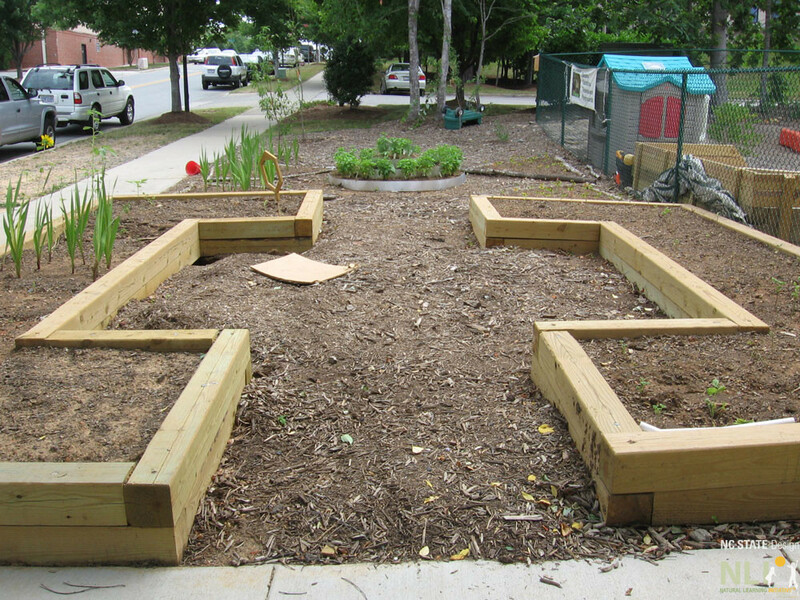 Raised planters shortly after construction in an ideal arrangement for class groups to gather at Chapel Hill Day Care Center. These raised planters were inspired by a train theme at this childcare center. 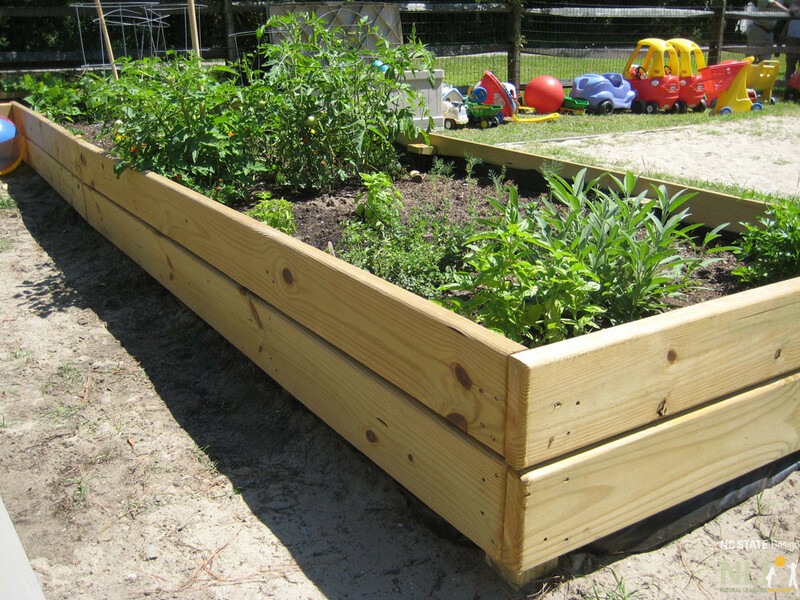 Raised planters that are narrow enough for children to reach in from both sides at Heron Pond Montessori, Kitty Hawk, NC. The height and narrow width of this planter at Munchkin Academy, Buxton, NC, make it easier for kids to care for the plants.